Put an iPod on your gift list! This time for the senior in your family. It’s a new and favorite idea going through many Memory Care facilities right now. What a successful idea it is! Music has been making Alzheimer’s news lately. 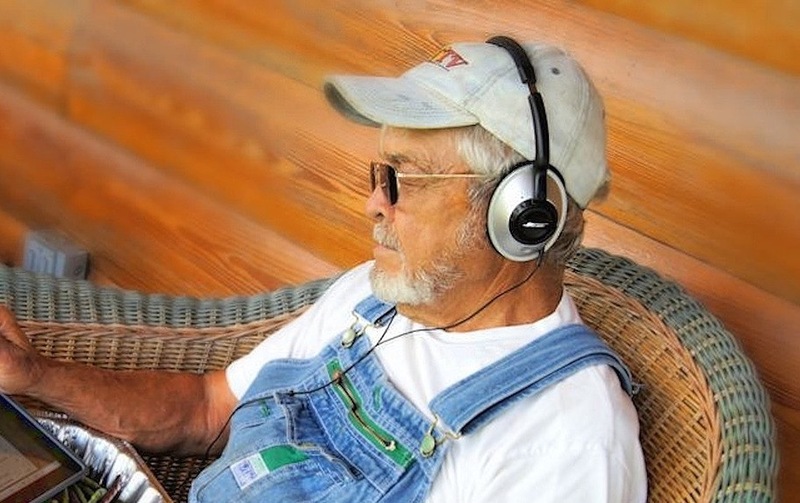 Studies have shown that music—singing and listening–stimulates Alzheimer’s patients. Not only does it revive memories but it also can alerts the patient, making him more engaged. Many who show little emotion or response will react to songs from their past. Bring on the media player like the iPod. The simplest model will be perfect for them. Add a good, comfortable set of head phones. In care facilities, you will find a growing list of iTunes songs going back generations. Families often know what songs their loved one enjoyed. A selection is added to the iPod, and it is set to go. In this case, the simplest style is the best. Many seniors are not up for operating a complicated model, but a basic, reasonably priced iPod shuffle will suffice. It will provide hours of enjoyment and relaxation. It will often make more alert, more responsive, more engaged patients. It’s been found to calm anxious or agitated Alzheimer’s patients. Think of those who often grow edgy at sundown. If you have a resident who gets annoyed at noise from other residents, it helps that too. Best of all, it makes them happy. You can see in the video below an example. What a wonder it must be to see reactions from a person who rarely shows any sign of emotion. It is actually becoming popular with all seniors. Unless your senior still has an actual record player, it isn’t easy to listen to some of their ‘oldies.’ We are talking fifty plus years old after all. What a treat it would be for them to push one button and have a selection of their favorites! I’ve seen huge smiles, tapping feet, songs coming from some who rarely show emotion, and I’ve seen tears from the memories songs can evoke. It must feel bittersweet to those with Alzheimer’s to have a memory. If you have a loved one with Alzheimer’s living at home you can get it started for them. I can see it would be of great benefit at home, to help them relax as well as be entertained for a while. If they live in a residence, the caregivers can keep it and help them use it. Either way, wait until you see their reaction. It’s so worth it! Love music? Even if you don’t have a senior of your own, you might like to donate an iPod. There are various ways to do that. First of course, would be to drop one off at a care facility near you. Many residences are now building their supply so each resident will have one. There are also sites who would appreciate your donations. In Canada, Room 217 is doing remarkable things to help the aging. They were early starters to use music to soothe the dying and those with dementia. Check out their site for details. Here in the states, you can donate your iPod (or money) to Music and Memory. It’s a great way to share music and ‘pay it forward’ if you have an older, simpler iPod that you rarely use these days. They are actually quite reasonable to purchase too. For headphones, facilities have found that the full ear cover headset works more effectively than earbuds. A set like the one below should provide comfort and the best sound. Hello I am looking to buy 4 I-PODs for my residents at my assistant living in Michigan. Can you please tell me the BEST one to buy that is EASY to use, to turn on, turn off, and to download play lists too that they will like. Plan to buy in the next week, please let me know.